With the advent of democratization in Nepal, treks that have been difficult or completely off-limits to foreign travelers are now possible. For very many years the circuit around Dhaulagiri’s neighbour, Annapurna, has become one of the classic walks of the world. Some would say, in fact, that it has become over-trekked. This will certainly not be the case for the Dhaulagiri Circuit. Dhaulagiri, 26,794ft/8,167m, is the seventh highest mountain in the world and its name translated means ‘The White Mountain’. It was first climbed by the Swiss expedition in 1960 and among those who ascended successfully, is the still-famous Austrian, Kurt Demerger. This is a long trek involving the crossing of two passes in excess of 17,000ft/5,200m, but offers the opportunity for the fit enthusiast to explore some very un-travelled country. DRIVE TO POKHARA. 7/8 hrs. DRIVE TO BAGLUNG AND BENI. (2,200ft/671m) 4 hrs TREKTO SINGA. (2,800ft/853m). TREK TO DARBANG. (3,350ft/1,073m). 6½ hrs. TREK TO SIBANG ( 5,905ft/1,800m), 7 hrs. TREK TO MURI. 4½ hrs. TREK TO BAGAR. 6 hrs. TREK TO DOBANG. (8,202ft/2,500m) 6 hrs. TREK TO CHARTARE(SALIGARE)AND ON TO BHAINSI KHARKA. 7 hrs. TREK TO PAKHABAN (Japanese camp). 5-6 hrs. REST AND ACCLIMATISATION.A rest day for acclimatisation, you explore the glaciers for the next day’s ascent to Dhaulagiri Base Camp. Camp overnight. TREK TO DHAULAGIRI BASE CAMP. (15,420ft/4,700m), 8 hrs. REST DAY AT DHAULAGIRI BASE CAMP. TREK VIA FRENCH COL TO ABOVE HIDDEN VALLEY.16,732ft/5,100m) 6 hrs. TREK TO ALUBARI. (9,842ft/3,000m), 7 hrs. TREK TO MARPHA VILLAGE. (8,750ft/2,667m)You start with a sharp descent along a narrow mountain path to a ridge from where Dhaulagiri is visible again. You wind around to the right and descend down by a long climb along a steep mountainside, zigzag path. The final descent of the day brings us to Marpha Village. Camp overnight. TREK TO LETE. (8,200ft/2,500m) 6 hrs. TREK TO TATOPANI. (3,800ft/1,158m) 6 hrs. TREK TO TIKHEDHUNGA. (2,000ft/609m). 5 hrs. END TREK, DRIVE TO POKHARA. Depart KathmanduYou will be transferred to the airport for your final departure from Kathmandu. It would be easy for you if you have your own group if not also we can arrange a group trek according to your request. You would be joining the group in Kathmandu. If you want to have a solo trip then we are always ready to help you again with single supplement charge. We try our best to make your comfortable holiday in the beauty of Dhaulagiri Region. Climate in Nepal is diversified depends on season. From the low level to highest point of the World, it start from hot to cold region from South to North. You can travel Nepal in any season but the best time to visit in Dhaulagiri Region is autumn & spring. If you are in autumn the weather is perfect and sky is crystal clear but in spring the weather seem little cloudy but the full blossoming Rhododendrons are awesome. In Summer visibility is poor and there is less chances to see the himalayas and in winter it is very cold in mountain but still possible to do this trip. 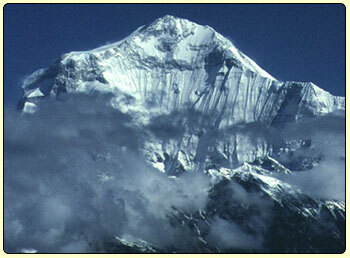 While you travel Dhaulagiri Region, you need to obtain the entry permits and TIMS permit. All the applicable permits and entry fees are including on the given cost except personal contribution and donations. In case of extra charge and payment, the agency will inform you. NEAT is highly aware with Environmental concern and keep right ecological system. There shouldn’t be awful impact while you travel around the Dhaulagiri Region. So, we involve some campaign of cleaning trekking trails, works with KEEP project etc.